The tour of Australia is a chance for Sharma to redeem himself. The real tour down under which started with the Adelaide Test on Wednesday will also decide Rohit Sharma’s Test future. The four-match Test series against Australia for the Border Gavaskar Trophy will most probably be the last chance for Rohit to prove that he belongs to this level. After two back to back hundreds in his first two Test matches against West Indies during the farewell series of Sachin Tendulkar in November 2013, a Mumbaikar, Sharma has flattered to deceive at the Test level. He has since then managed to score only one hundred in his next 23 Test matches. 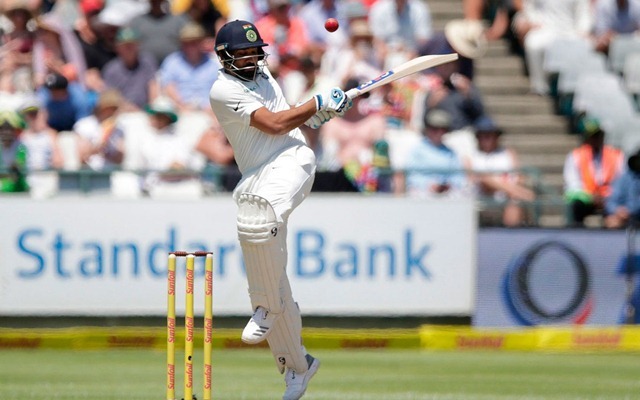 Rohit’s Test record has taken a massive hit with an average of less than forty, from 25 Test matches, a far cry from his outstanding record in the shorter formats of the game. Once India started touring abroad during the 2013-14 season Rohit’s form started to decline. His inability to adjust to the bouncy conditions in South Africa against the likes of Dale Steyn, Morne Morkel and Vernon Philander was the first set back to his Test career. Chinks in technique were exploited. His footwork against the red ball which moves around more than the white ball left a lot to be desired. The fact that Rohit batted at number six where red ball loses its shine and hardness still didn’t help his cause. Going without a single hundred in the tours to New Zealand, England and Australia in 2014 didn’t help matters either. Being in and out of the side due to lack of consistency put a roadblock to his Test career. A batsman with three double hundreds as an opener in the ODI format struggling in the longest format shocked many. ODI legends like Michael Bevan and Yuvraj Singh failed in their Test career. Rohit was driving on the same lane. When MS Dhoni relinquished his Test captaincy in 2015, things started to change. Virat Kohli took over captaincy and along with coach Ravi Shastri set to build a team with five bowlers. Their theory of the Indian team needing five bowlers to win a Test match left no place for Rohit. His consistent failures didn’t help either. With India listed to play most of their Test matches at home in 2016 and 2017, the five-bowler theory was a risk worth taking. An odd opportunity here and there was what Rohit got at home. He knew that to cement his position at number six he had to do something extraordinary. The tour to South Africa at the start of this year was a big opportunity for the Mumbaikar. With Ajinkya Rahane not in the best of form at home, Virat took the risk of picking Rohit inspite of Rahane’s good record overseas. India losing both of the first two Tests and the series along with Rohit’s back to back failures sealed his fate. Rahane was back into the Test team for the final match and contributed in the winning cause led to his selection for the England tour. Rohit was left out in the cold for not only the first two Tests but also the whole tour of England. Hanuman Vihari scored a half century on debut after getting selected ahead of the senior batsman. The tour of Australia is a chance for Sharma to redeem himself. A century in the first or second Test provided he gets picked will help him restart his second innings at this level. If India can win without Rohit in the team could also mean curtains for him, considering this is the last leg of the challenging overseas tours following South Africa and England.